1. Please explain your day-to-day role at Puget Sound Solar. I’m chief executive and company promoter, so my job can be exciting one minute and boring the next. My duties include general management, advertising and promotion, and occasional project management. 2. 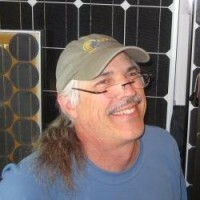 How did you arrive at Puget Sound Solar? I started the company in 2001, partly because there weren’t any solar contractors and solar project solutions Seattle, and partly because our elected leaders were trying to push us to use more fossil fuels and nuclear power. I am motivated by the need for renewable energy today, and by the opportunity to create family-wage jobs for our employees. 4. Is your blueprint for success based, in some way, on role models? Our business plan is inspired by role models who are honest in their dealings, who put their customers first, and who help to increase the use of solar energy. 5. What's your source of inspiration? I am inspired by scientists and engineers who have continued to develop solar energy, even when it was being ignored by our politicians and by the energy sector, and by other companies who are leaders in the field of solar. 6. Who's Puget Sound Solar (corporate profile)? Puget Sound Solar is a General and Electrical Contractor in the state of Washington specializing in the design and construction of solar energy systems. We are a customer-focused organization; our decision-making process centers on providing the best products and service possible, with honest communication and attention to detail throughout the entire process of each project. We are motivated by the need to reduce greenhouse gas emissions that cause climate change, as well as by the financial benefits that solar energy provides to the local economy. Our vision is that fossil and nuclear fuels will be eliminated from electricity production, replaced by renewable energy sources such as solar. Puget Sound Solar designs, installs, and maintains all types of solar electric systems and provides maintenance services for solar hot water Seattle heating systems. Our team installed the first residential utility-grid-connected solar electric system in Seattle in 2001 and continues to lead the field in western Washington with over 8,500 kilowatts of solar panels installed in over 1,500 projects. Our work has also included hundreds of hours of unpaid lobbyist work to pass legislation that provides financial incentives and building code changes that are beneficial to solar energy producers. 11. What makes Puget Sound Solar different? Puget Sound Solar is not a high-pressure solar sales organization. We work with our customers to help them make cost-effective decisions, and we follow up our installations with comprehensive service so that each project continues to produce the maximum amount of energy. Our team is dedicated to providing the best possible solution for each customer, and to researching the constantly changing range of product options. 12. What are your primary geographical markets? We are focused on the Seattle area including King, Snohomish, Pierce, and Kitsap counties. 13. Who are Puget Sound Solar customers? The majority of our customers are homeowners, but we have a growing group of commercial building owners and government agencies on our customer list. 14. When did you get your first website online? We put up our first website in 2001. 15. How important is your website to generate sales leads? Our website continues to be our primary source of leads.